Oily Waste Cans are a safe place to dispose of rags and cloths soaked with solvents, thinners, oils, and other combustible materials. The round, galvanized steel body and elevated bottom allow air circulation, dispersing heat and reducing moisture buildup and rust. A sturdy foot pedal opens the specially designed lid no more than 60° limiting the amount of oxygen in the container. 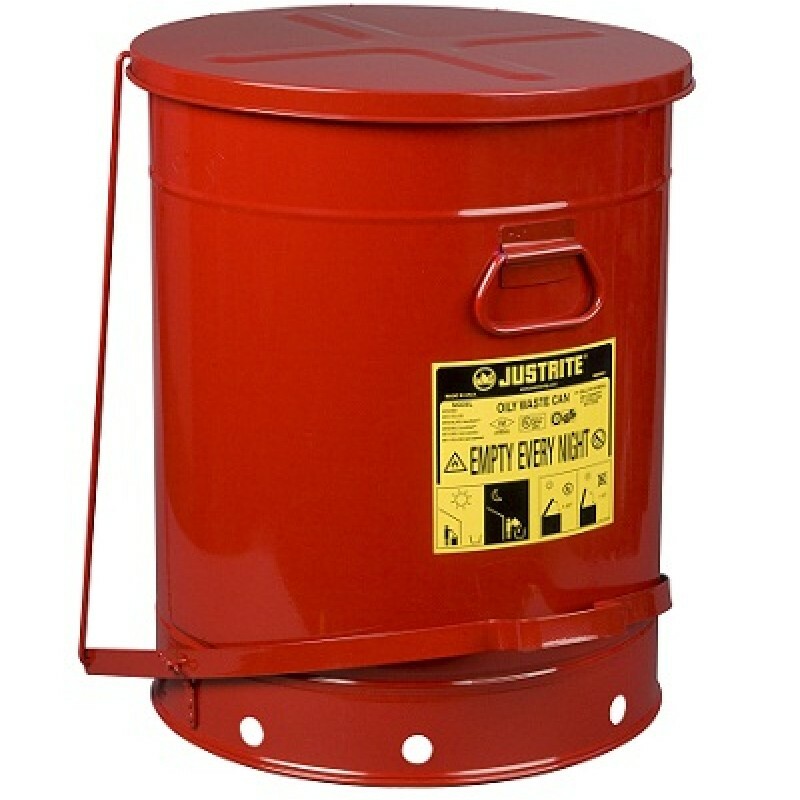 Ideal for use in maintenance, auto manufacturing, and other environments where oils are used. OSHA compliant.